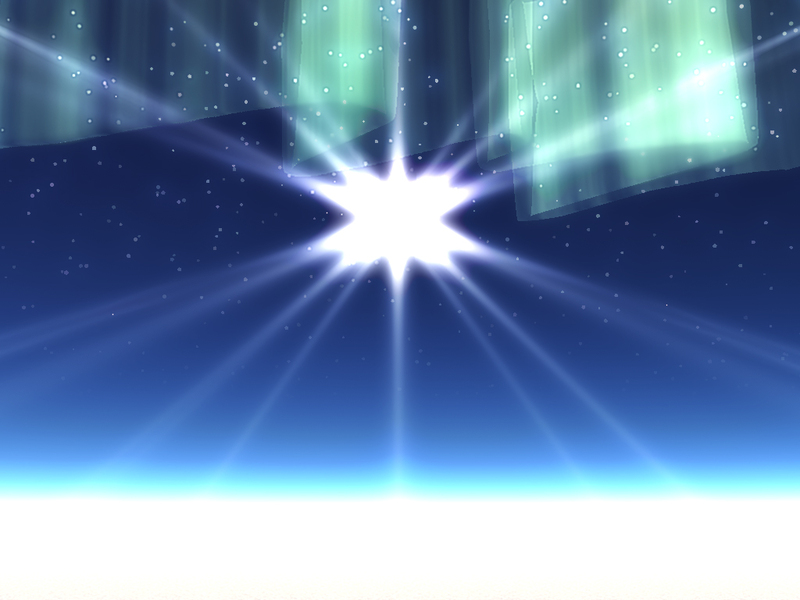 Description: This image is simbolizing Northern Star. It is another variation of Aurora Borealis. I made it from simmetrical lattice, and the star itself is infinite round parallel light. A little poswork. I like the star object at center very much. The Aurora seems to have a hard edge on it likely caused by the terrain, I might suggest that you find a way to soften the edges so it looks more like gas and less like a curtain. I haven't commented to your entries yet, I do not yet know what to make of them and as far as arora borealis or australis go, I cannot offer much help. What strikes me here is the central star. It is slightly wider than high, and the fat rays. This star looks exactly the same as the sun in my outdoor spherical hdri panoramas I have been creating lately and I somehow "hate" this effect of photo-realism (an example: http://www.horo.ch/photos/hdri/html/hdryhill_en.html). I know how this happens in photography but I don't know how to produce it Bryce. Though I'm a bit pre-occupied, kudos to you for being able to create the effect. rashadcarter1, yes I know, its apeared like solid, I would try to fix it. Horo, the star are round parallel lights which turned visible volume objects with soft edges and direction of this obj was outside, then they were oranized in the shape of star. Thanks for your comments and sorry for my bad English.